Butterfly Fundraising Weekend Had Wiiiiings!! Home › Latest News › Butterfly Fundraising Weekend Had Wiiiiings!! 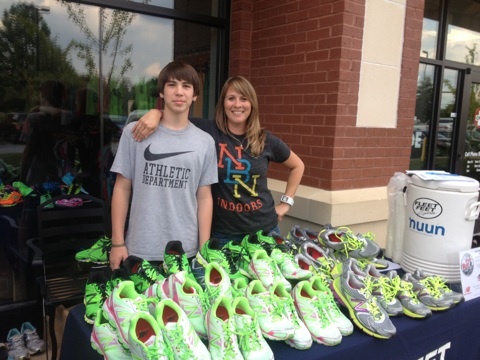 The Butterfly Fund 5K Fundraising Weekend brought to you by Fleet Feet Knoxville, New Balance and Brixx Pizza was a success! The race, which raises money to help defeat childhood cancer, honors the memory of Emily Barger and Maddie Harrill. Their parents work very hard every year to put on this race and Fleet Feet Knoxville is proud to support The Butterfly Fund each year. The festivities kicked off Thursday before the race with a packet pickup. Runners came in droves to grab their race bibs and of course the t-shirt! At 6 pm, we hosted the New Balance Fun Run, where customers could try out the New Balance 860v3 and the 880v3 and get a special surprise thanks to Brian and Sean, our trusty New Balance reps. The fun continued at Brixx Pizza, where everyone joined together to dine to donate. Brixx Pizza in Turkey Creek donated a portion of their sales during race weekend (Thursday to Sunday) to the Butterfly Fund for a total donation $297! That's a lot of pizza! 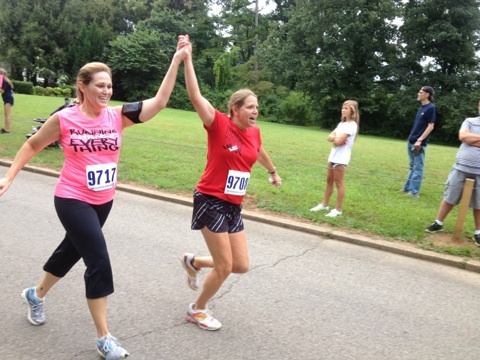 On Friday, we hosted packet pick up again at the store and then Saturday was race day! Our No Boundaries 5K Training Group trained for 10 grueling but fun weeks for this race and all graduated with flying colors and huge smiles Saturday morning. See the fun and happiness here. 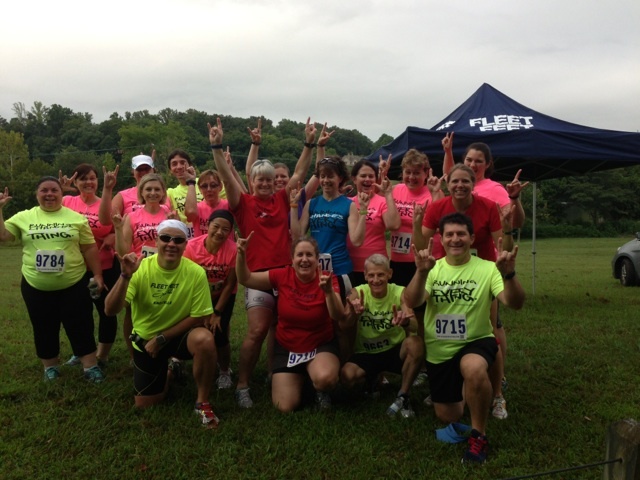 To add some extra Fleet Feet Training Fun, Coach Shahin and Coach Paul had the triathlon training group bike from The Cove in Concord all the way to the race site in Sequoyah Hills, race the 5K and then ride back. 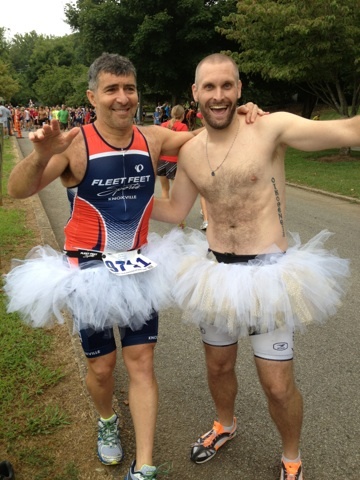 To encourage everyone, they raced in tutus - looking good, guys! Lucky for them, Cheryl was there to greet them with an ice cooler full of chocolate milk. We look forward to next year as we all band together for this amazing charity. Join us next year and we'll train together!